When we talk about transportation to and from school, what are our options? But today we’d like to talk about some of the sensory aspects of transportation you may never have thought about before. The bus can be a great experience because it gives them that time to transition between home and school. The bus is also very bouncy, so it’s a nice proprioceptive experience. When our kids sit in a vehicle like that, it provides a lot of input but it’s also peaceful. We know many of our parents are afraid of the bus because there might be bullying or another stressful situation going on. 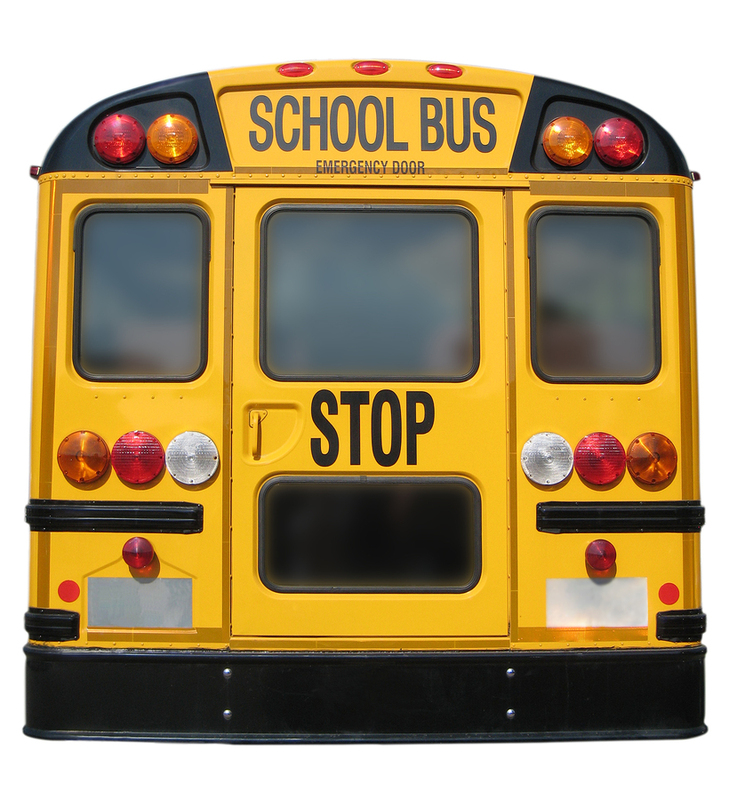 If your child is in a regular, general-education bus, we certainly understand those concerns. In that case, you need to make sure that your kiddo is old enough to tolerate any such problems. Some of the special education buses, however, come door to door and have monitors, so your child is in a safe environment there and it can be a very enriching experience. Walking to school is a great experience to get sensory input. There’s a lot of input that goes on in walking. Once again, that is pre-loading some sensory experience so that when your child gets to school they’re calm. This can also be a nice social time when you walk with your child. Some of our kiddos may be old enough to walk on their own, but when they’re not this is a great time to walk with them and get them prepared for school in a non-stressful activity. Of course, you may be too far to walk and you may not have bus service as an option. If you use a car to get to school you might be carpooling with other parents, or you might be taking your own car. This is another great option! Just make sure you allow enough time so that you don’t have to rush. When we rush and run around throwing things into the backpack and when we run late—that really increases the anxiety level of our kids. We recommend that you set a timer for your drop-dead time to leave the house that gives you enough time to do a healthy transition to school. Otherwise, you’re setting a poor stage for the whole day. Biking is a great experience! If your child isn’t old enough to bike alone, you can bike with them or walk alongside. Some kids use scooters instead of bikes. This is another great sensory experience that sets your day! Many parents tell us that if their kids can walk, or ride a bike, or swing before school, it seems to set the day and give themselves a nice sensory diet for the whole day. So think in terms of sensory experiences, and see what might be your best form of transportation!